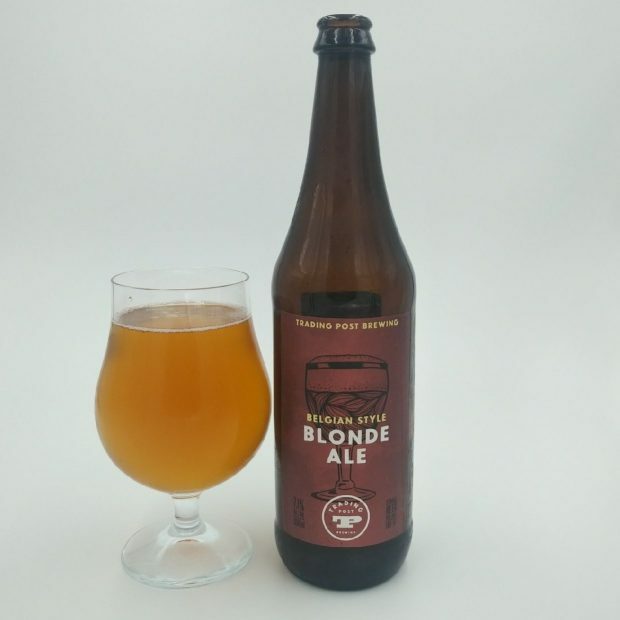 From Trading Post Brewing in Langley comes their “Belgian Style Blonde Ale”. The beer pours a mildly cloudy orange colour with a white head. The aroma consists of bubblegum, candy sugar, fruity notes, spices, Belgian yeast and sweetness. The flavour is of bubblegum, citrus, esters, candy sugar, grain, herbal hops and a low bitterness. The alcohol content comes in at 7.1%. While I would not call this the most traditional Belgian style Blonde it was enjoyable for sure.